Walking along the K and P this morning, I was wondering about trail design and shape as that relates to contemplative walking. The K and P, like most rail-bed trails is straight, flat and uninterrupted with curves for most of its 25 mile length. This does not mean its uninteresting, because the views of the ravine creeks and the profile of Pinnacle Hill are outstanding. It does, however, lack the undulating curves we so often associate with the best trails. This leads to the question of what are the best kind of trail shapes for contemplative walking. What I realized is that there are shapes which facilitate different forms of contemplation. What I found on this rail-bed trail was the excellent support for recitative practice. In my case, I found the steadiness and predictability of this track supported a good 30 minute period of nembutsu chanting, some of which I did sotto voce. It certainly promotes a very good context for developing pace, rhythm and balance, as well as the lack of distraction that allows for real interior experience. I was able to experience the full bodily experience of my walking, because I did not need to attend to sudden changes in trail texture or shape. Later, I went looking for what there was in principles of trail design. I found this document from Ontario which I found quite interesting. This is a 300 plus page document primarily describing various standards for trail construction processes. Things like constructing treads, water management, soil types and so on. It also describes principles of sustainable trails and “universal design”, that is designing for all kinds of users. Interestingly, it cites curving trails as the ideal. This fits well with what Ellard (Places of the Heart) says about human preference for curving lines. I have posted a related piece on the WALC podcast today as well. Reading more in Ellard (Places of the Heart) and he wonders whether people , especially younger people have as substantial an experience of an inner life these days, compared to previous generations. Tech researcher, Sherry Turkle, and others have described how our reliance on our online lives diminishes our interest in, capacity for and benefits from an inner life – that part of us which establishes memories and meaning. If people, especially our growing generations are walking less, this will only exaggerate the effect of our disconnection from the material world. This is one reason why I was so pleased to meet a young mom and her 18 month old walking on the path this morning. There were no mediators or tech devices, just the mom and her little guy walking along with the trees and critters on one side and the river on the other. Very lucky kid! 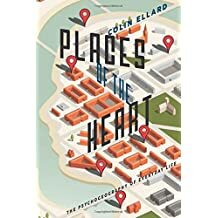 Been working my way through Ellard’s Places of the Heart, (highly recommended read, too) which explores many dimensions of psycho-geography, the relationship between the spaces we inhabit and our emotions and cognition. He considers the impact on walkers who walk rear or inside spaces with spiky, pointy and angular forms, as opposed to those with more rectangular or curvy shapes. Just posted some new images to our Tumblr projects. Here’s one I took along the trail at Mateway Park here in Renfrew. describe some of what The Padakun Centre for Contemplative Walking, proposes as our purpose and intention,particularly what we call our 4 Trails of study, namely: walkers’ personal stories, walking forms and training, walking for social action and walking theory. The class was a group of about 15 first year students. We’ve decided to postpone the Niagara trip. Just not enough folks available for the extended weekend. Good information for future planning. No worries, we’ll do it in the near future. meanwhile , visit the xPADitions page for news on our next couple of trips. Here are links to documents shared at our recent INTRODUCTION TO CONTEMPLATIVE WALKING LECTURE at the Department of Religion at the University of Toronto. And “shout-out” to the class who may visit here for these docs. You guys were awesome! We haven’t been using this page for much in the way of News, so today we’ve shifted the intro stuff to its own page and begin to post current messages for our friends. Take a quick second here and become a Follower. And if you prefer Facebook, join us at our Facebook page. Padakun, like all of us walkers, is a project in motion. Come back again, and often. We’d love to get to know you.